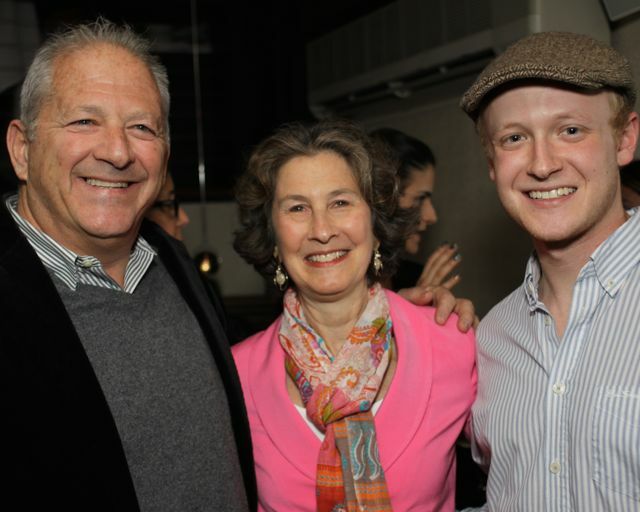 Every spring Canavan Foundation supporters gather for dinner and a Broadway show. This is our major fundraising event. The producer or director joins us for a fascinating pre-show Q&A over dinner and we generally gather after the show for dessert and drinks nearby. 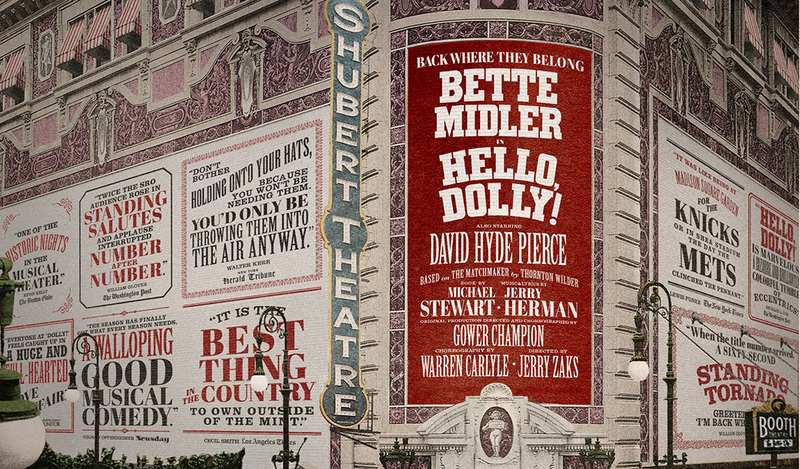 In recent years we’ve been to "Carousel," "Hello Dolly," "Shuffle Along on Broadway," "The Audience," "Raisin in the Sun," and "Matilda." It's 1969 London. The brash young Rupert Murdoch (Bertie Carvel) purchases a struggling paper, The Sun, and sets out to make it a must-read smash which will destroy – and ultimately horrify – the competition. 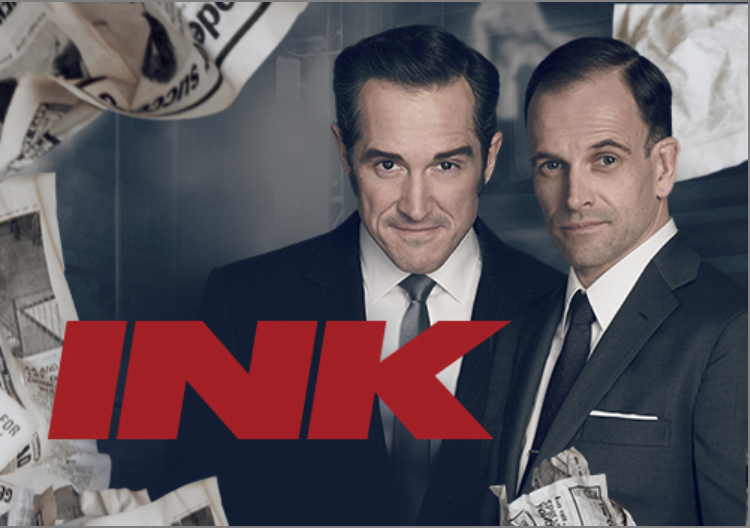 He brings on rogue editor Larry Lamb (Jonny Lee Miller) who in turn recruits an unlikely team of underdog reporters. Together, they will go to any lengths for success and the race for the most ink is on! Inspired by real events and a recent hit in London's West End, James Graham's electrifying new play comes to Broadway in the exhilarating Almeida Theatre production, directed by Rupert Goold. In its London run, The Guardian called it "riveting," and Time Out hailed it as "an incredibly brilliant stunner." 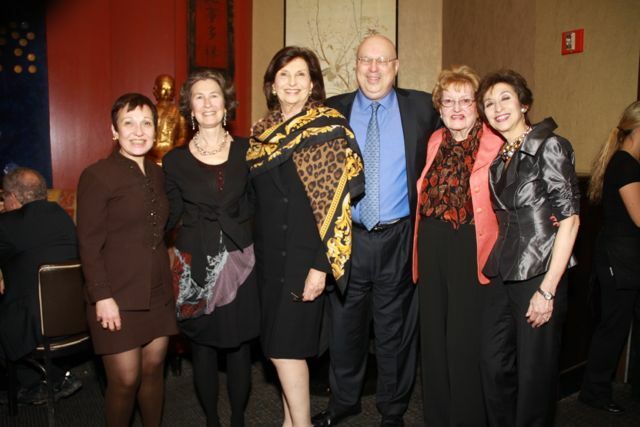 Join Canavan Foundation supporters for our 27th annual Theater Gala. We offer Friend seats at $325, Patron seats at $500 and Benefactor seats at $1,000. 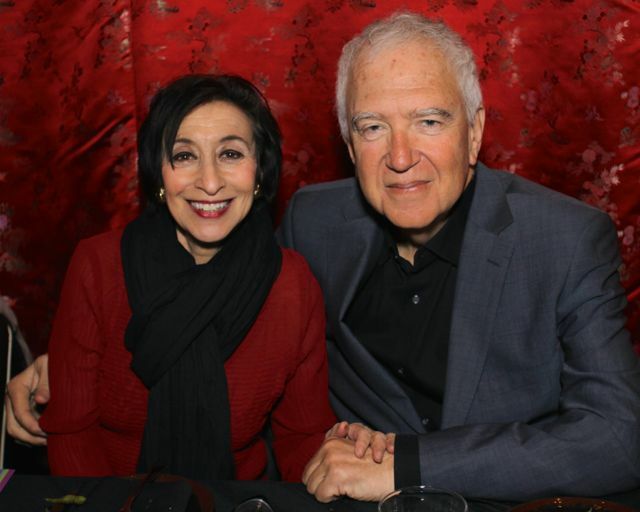 There is an optional dinner beforehand at the legendary Sardi's for $75 apiece, at which inimitable Broadway producer Joey Parnes, of Joey Parnes Productions, will interview a member of Ink's production team. Tickets will be mailed in late March. To pay by check, download invitation and order form. To pay online, click here. 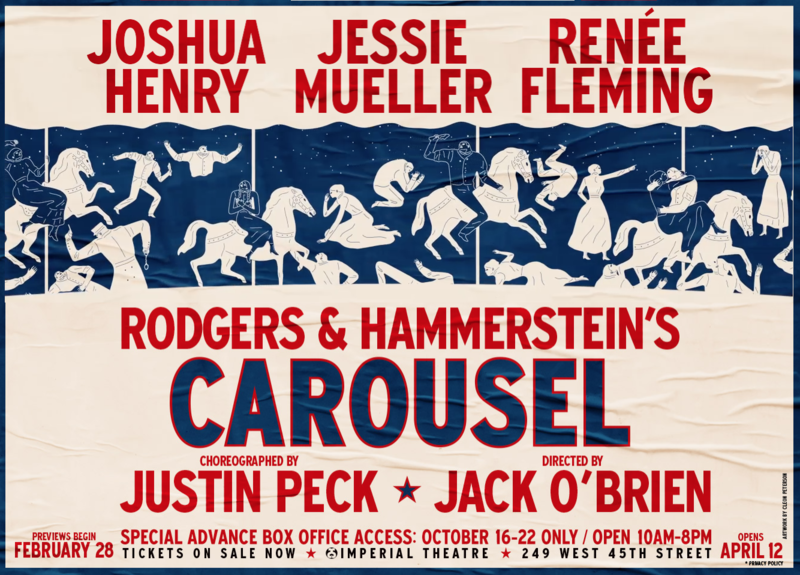 On April 29th, 2018 the Canavan Foundation headed to the Imperial Theater to see Rodgers and Hammerstein’s Carousel for our 2018 Theater Gala. 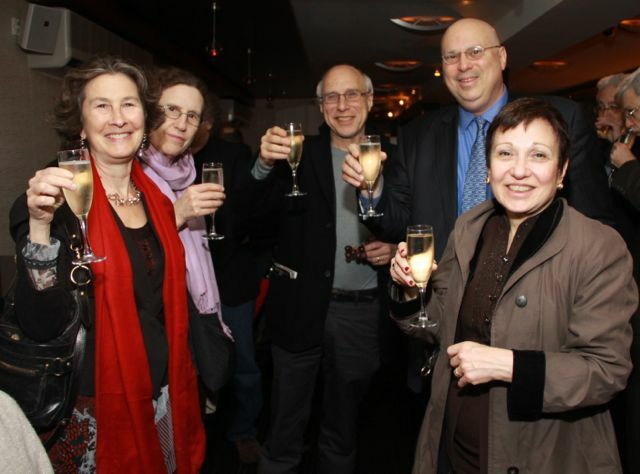 This year, for the first time, the Theater Gala took place at a 3:00 pm Sunday matinee. At lunch at Sardi’s before the show we were treated to a fascinating dialogue between the show's executive producer, Joey Parnes, and Justin Peck, the wunderkind choreographer whose work on “Carousel” has earned universal praise. Peck talked about his development from dancer to choreographer, the difference between choreographing for New York City Ballet and for Broadway, and how he approached a show whose original choreography by Agnes de Mille has become a classic of American theater. 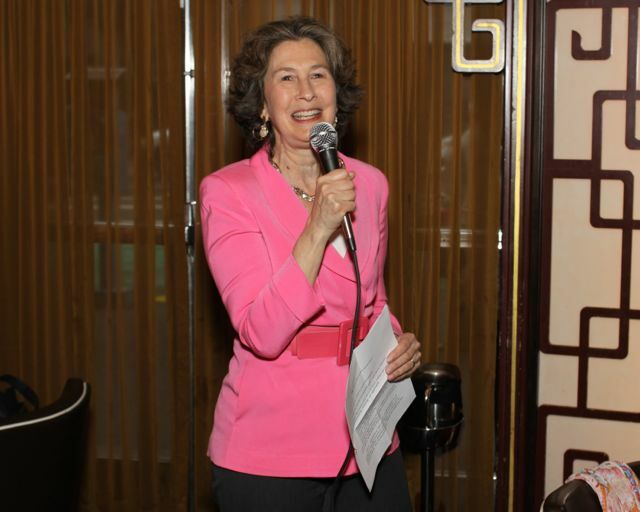 In her remarks, Canavan Foundation president Orren Alperstein spoke about our ongoing distribution of educational materials to Ob-Gyns and synagogues, and our successful pilot outreach to primary care providers to reach women who may not seek care from an Ob-Gyn until they’re already pregnant. She stressed the need for preconception carrier screening even for couples in which only one partner has Jewish heritage, and urged all those in the room to distribute our newly revised brochure to anyone of childbearing age who would benefit from timely and complete screening. It turned out (we asked for a show of hands) that almost everyone in the room knew someone who would benefit from the information. 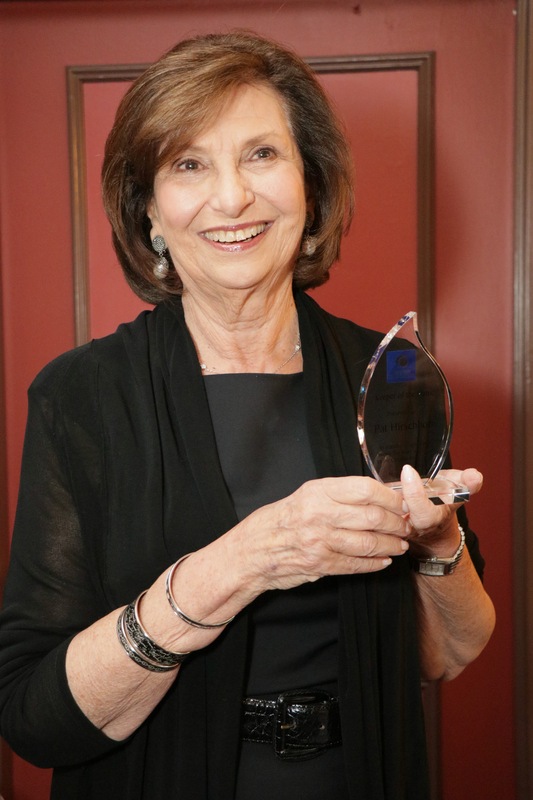 Orren also offered her heartfelt thanks to our indefatigable benefit chairs, Deedy Goldstick and Pat Hirschhorn, and to David Goldstick, for the many years of pro-bono administrative and accounting work he’s done for us. You can read her comments here. 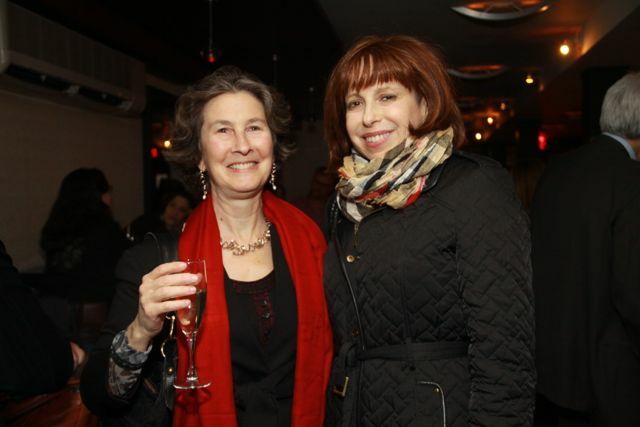 To see all the evening's photos click here. 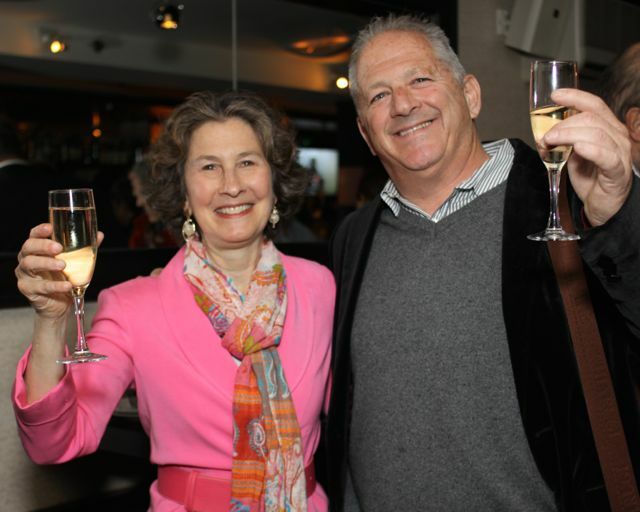 To read Orren Alperstein's remarks, click here. 2017 Gala: "Hello Dolly!" with Bette Midler. Wednesday, May 24th. 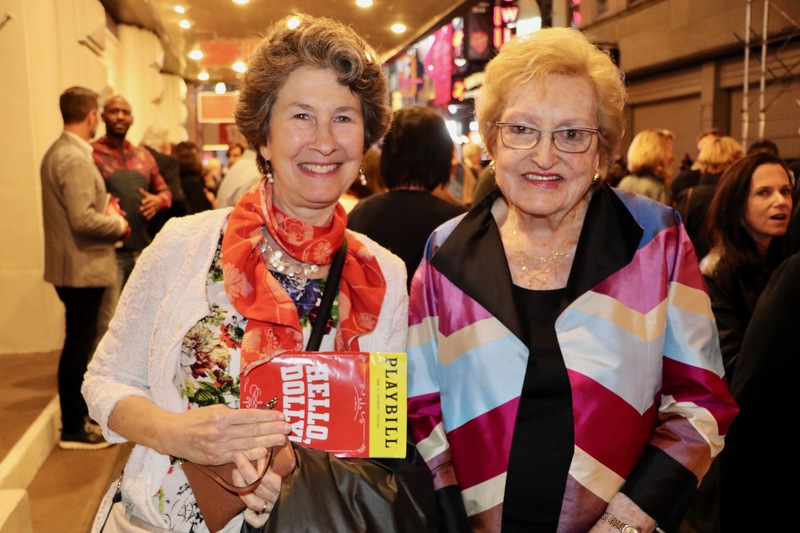 On Wednesday, May 24th, the Canavan Foundation welcomed more than 170 guests to our annual Spring Theater Benefit to see this year’s Broadway sensation, “Hello Dolly!” starring the unforgettable Bette Midler. 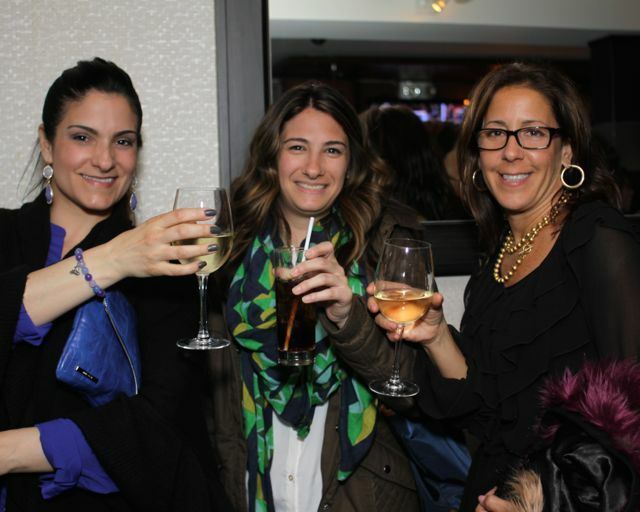 The gala sold out almost immediately after tickets went on sale, with proceeds going to support the Canavan Foundation's work in promoting early and complete genetic carrier screening for Canavan and other Jewish genetic diseases. 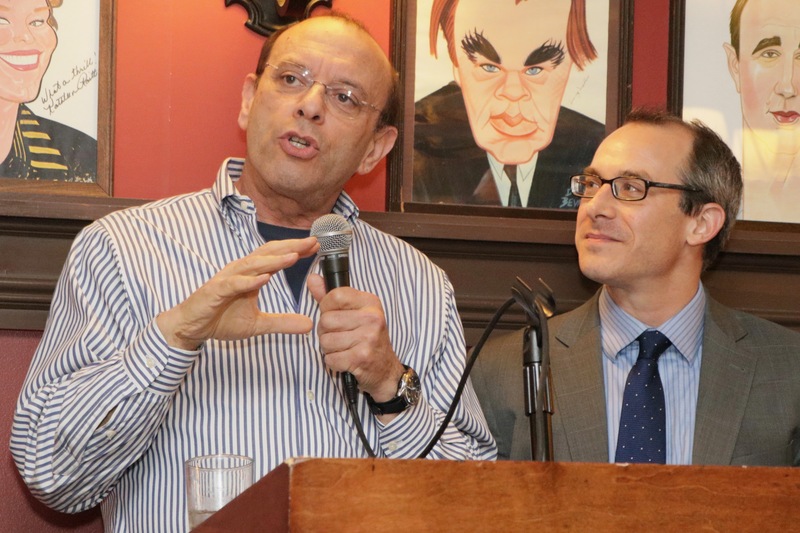 At Sardi’s before the show we were treated to a fascinating dialogue between noted entertainment lawyer Stephan Schick and the show's executive producer, Joey Parnes, about the differences between mounting a new production and a revival, the current economics of Broadway, and the challenges of changing casts on a long-running show. 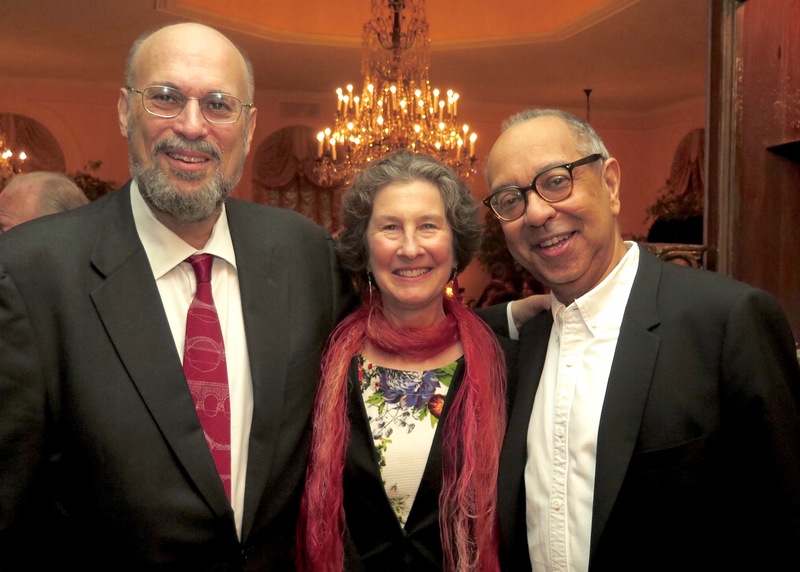 This dinner marked our 25th theater gala. The small organization started back in 1992 is still going strong. 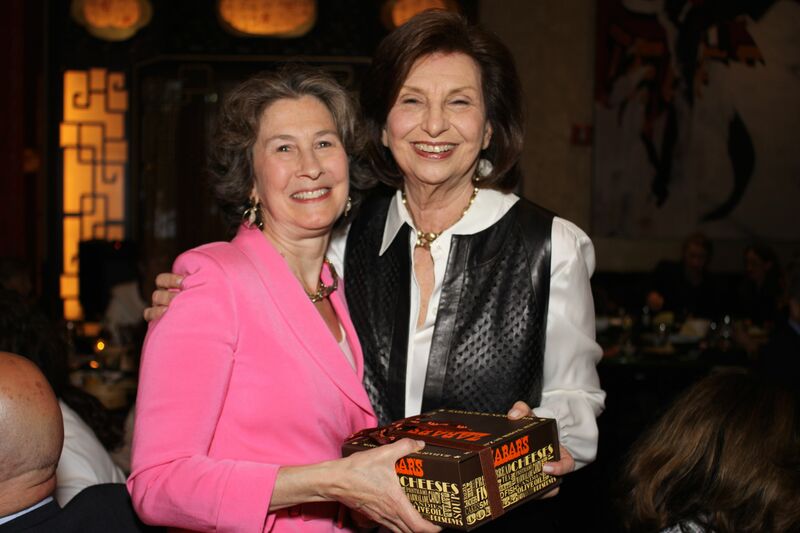 Canavan President Orren Alperstein took the opportunity to recognize board members Deedy Goldstick and Pat Hirschhorn, who have been with the foundation since the beginning, and gave them each “Keeper of the Flame” awards to thank them for producing our theater galas year after year. You can now download her comments here. Orren Alperstein spoke about the continued need for preconception screening, even among couples where only one member has Jewish heritage. She also gave an update on the continued expansion of our outreach and education programs, that now reach over 600 Ob-Gyn offices and 1,500 synagogues. It’s likely that this year we’ll be distributing over 40,000 brochures. We would like to thank everyone who joined us for dinner and theater, and those of you who were not able to be there in person but who made financial contributions all the same. Without your loyal and long-time support, we'd never be able to accomplish what we do. To see all the evening's photos and download your favorites, click here for our album on Facebook. And while you're there, "like" our page! 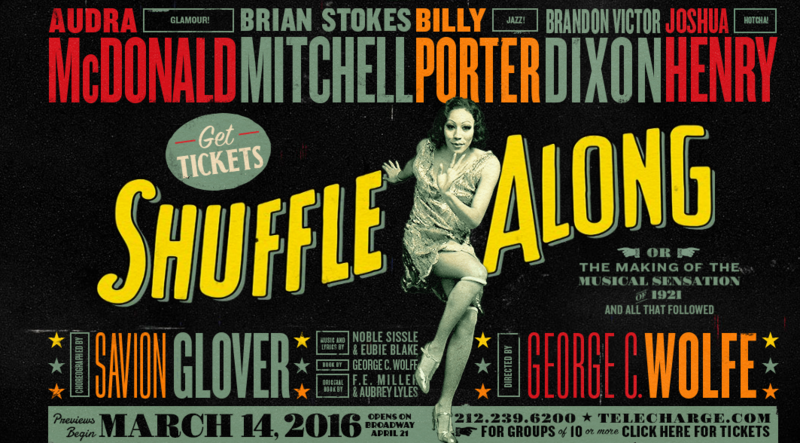 On Tuesday, May 3rd, 150 Canavan Foundation supporters gathered for the annual Theater Gala to see the start-studded cast of "Shuffle Along - Or the Making of the Musical Sensation of 1921 - And All that Followed" on the day that the show was nominated for 10 Tony awards. 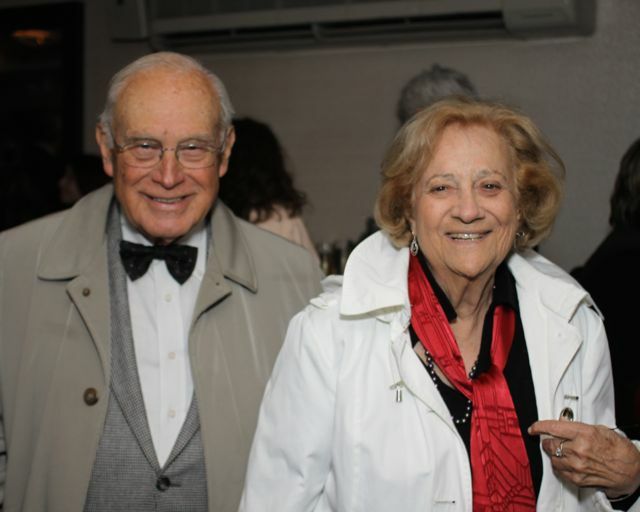 The gala sold out, with proceeds going to support the Canavan Foundation's work in promoting early and complete genetic carrier screening for Canavan and other Jewish genetic diseases. During dinner at Barbetta before the show guests were treated to a fascinating dialogue between Canavan Foundation board member Seth Gelblum and the show's writer and director, George C. Wolfe, about the challenges of taking the music from the nearly 100-year old original musical and writing a new book that traces the making of that 1921 musical. 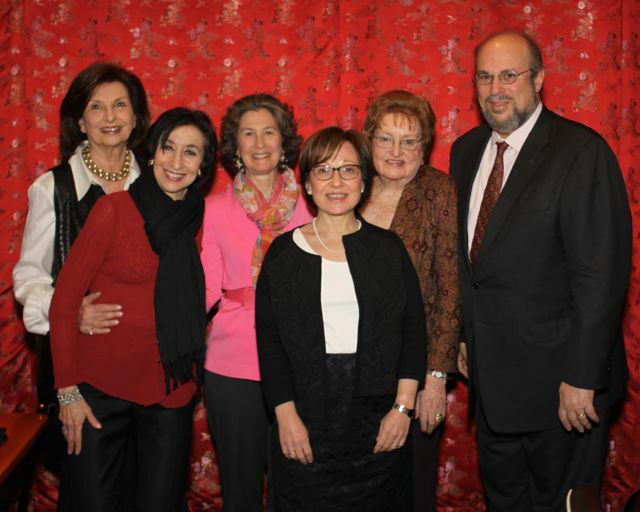 At dinner, Canavan Foundation President Orren Alperstein shared the remarkable progress the Canavan Foundation has made this past year in outreach efforts, highlighting the foundation's success in distributing over 50,000 brochures to synagogues around the country and the continued progress of our NY Metro Ob-Gyn program. Orren also described the research the foundation has been conducting with Ob-Gyns, recently pregnant women, and synagogue leadership to judge the effectiveness of our programs and plan our future activities. Orren also offered a personal tribute to Randy Yudenfriend Glaser, President of the Jewish Genetic Disease Consortium, who passed away last month after a long disease. 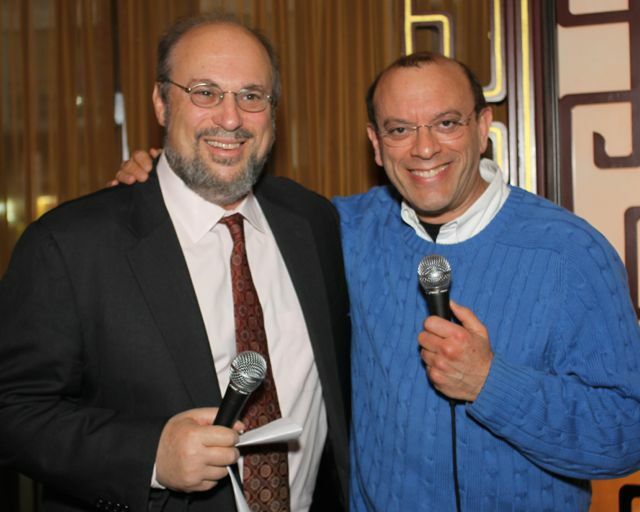 Randy was a tireless advocate for Jewish genetic disease research, screening and treatment and will be missed by everyone who works in this field. You can download Orren’s complete comments here. To see all the evening's photos and download your favorites, click here. 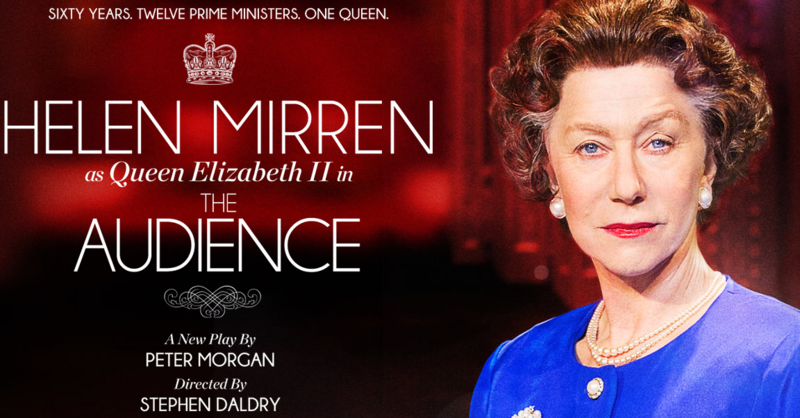 On Thursday, April 23rd, the Canavan Foundation's 2015 annual Theater Benefit was Peter Morgan's play "The Audience," starring Oscar-winning actress Helen Mirren as Queen Elizabeth II. Mirren created the role in the play's original London production, and is now bringing it to New York. The play breaks the silence on 50 years of the Queen's weekly secret meetings with Britain's prime minsters, from Winston Churchill to David Cameron. 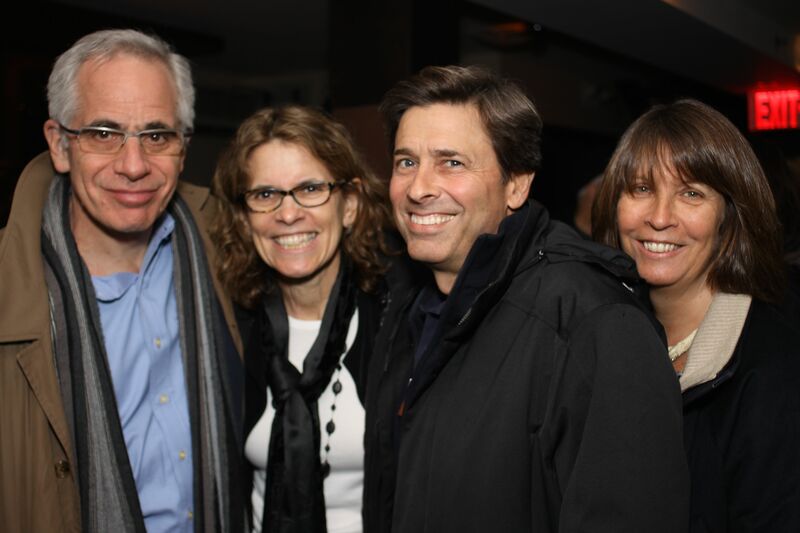 Canavan Foundation supporters met for dinner before the show, which included a fascinating Q&A with Patrick Healy, "New York Times" theater journalist, and they met again after the show for a celebratory drink. Join our mailing list to be updated on other Canavan Foundation news, and an invitation to next year's gala. 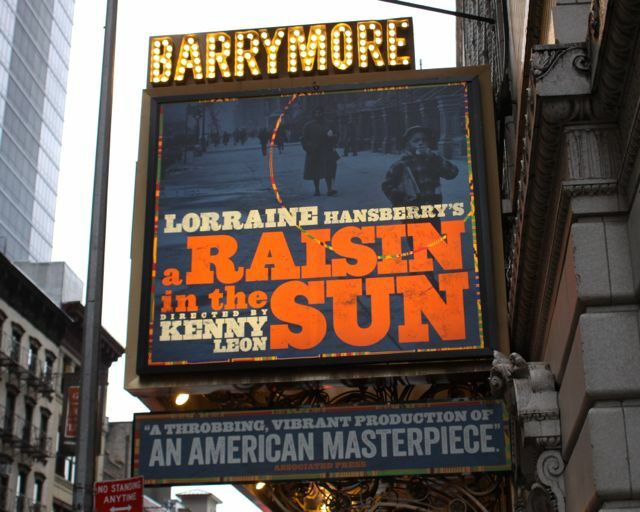 2014 Gala: "A Raisin in the Sun"
gathered for our annual Spring Theater Benefit to see Lorraine Hansberry’s “A Raisin in the Sun,” at the Ethel Barrymore Theater. 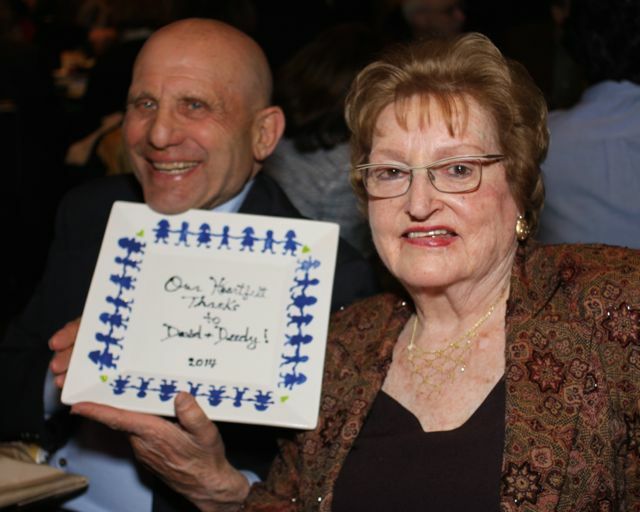 Once again, the gala sold out, with proceeds going to support the Canavan Foundation's work in promoting early and complete genetic carrier screening for Canavan and other Jewish genetic diseases. 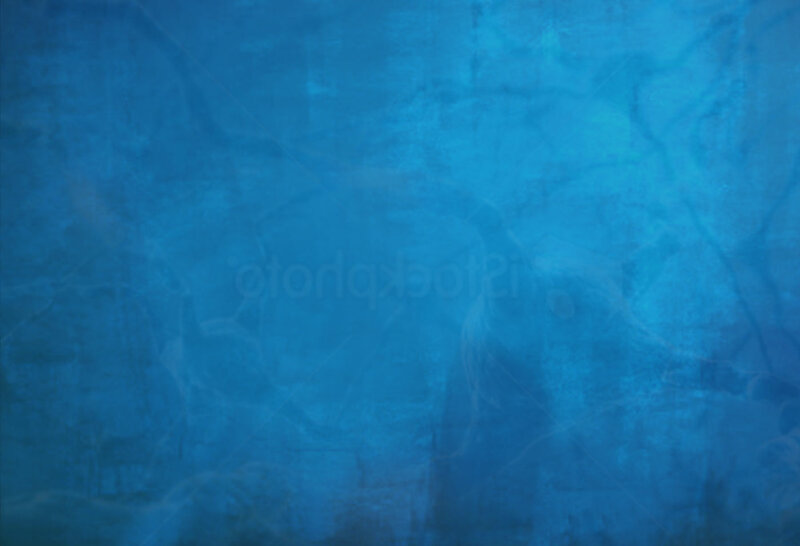 As an added bonus, the morning of the gala the production was nominated for five Tony awards, including nominations for each of the three female leads: LaTanya Richardson Jackson, Anika Noni Rose and Sophie Okonedo. During a fascinating Q&A at dinner at Ruby Foo's we heard from Executive Producer Joey Parnes about the challenges of mounting a revival of a beloved classic, having a 59-year-old Denzel Washington take on the role of a 35-year-old man, and the ways in which the world has -- and hasn't -- changed in the half century since "Raisin in the Sun" premiered on Broadway. 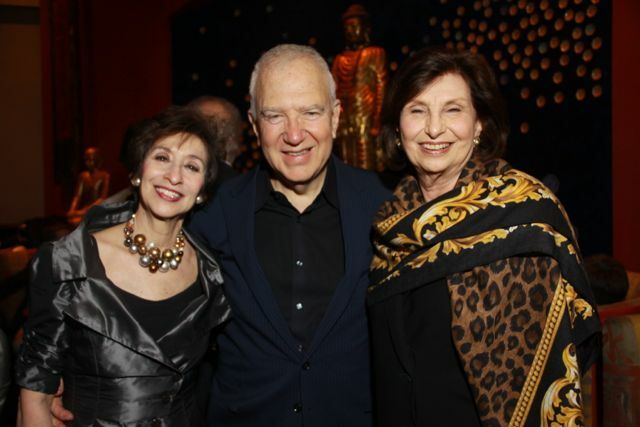 At dinner Canavan Foundation President Orren Alperstein recognized long-term board members Deedy Goldstock and Pat Hirschorn, who have served as co-chairs for the Theater Gala for 20 years. The sold-out performance lived up to all the hype and the rave reviews, with remarkable performances by the entire cast. The play still poses vital questions about racism, assimilation, and what becomes of a dream deferred. 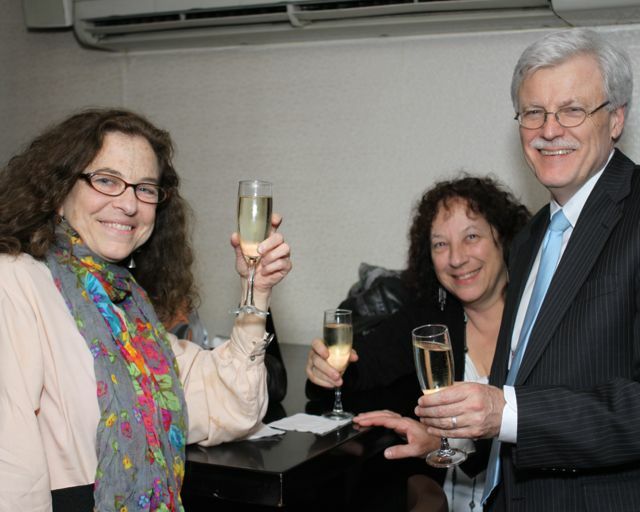 After the performance we celebrated with prosecco, cheese and fruit at the Glass House Tavern across the street from the theater. 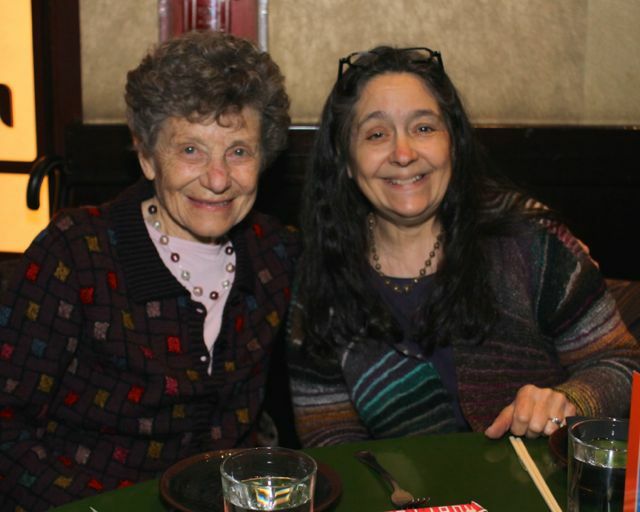 The Foundation would like to thank everyone who joined us for dinner and theater, or who were not able to be there in person but who made financial contributions all the same. 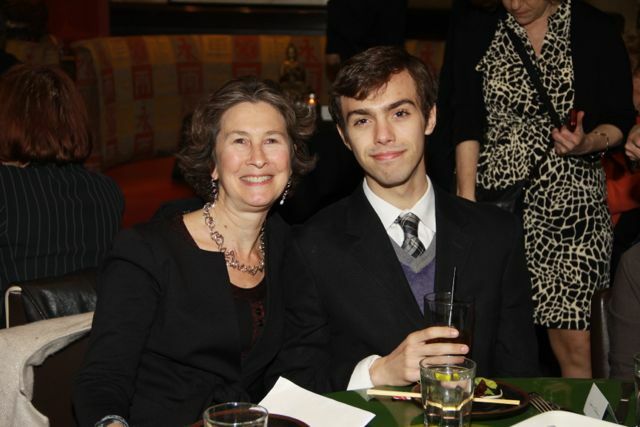 Below are a few photos from this year's dinner before and reception after the theater. 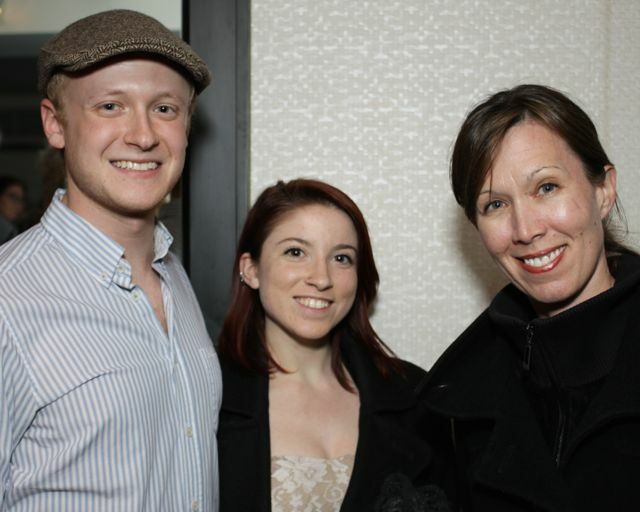 We hope to see you at next year’s Theater Benefit! 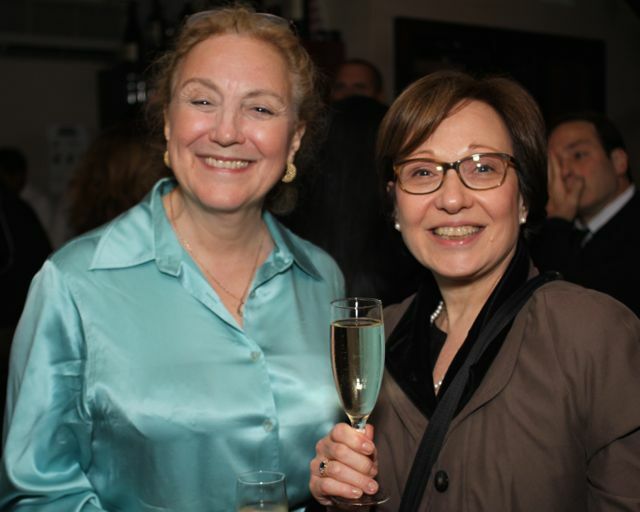 2013 Gala in Review: "Matilda The Musical"
On April 24th, 150 supporters and friends of the Canavan Foundation gathered in New York City for our annual Theater Gala. 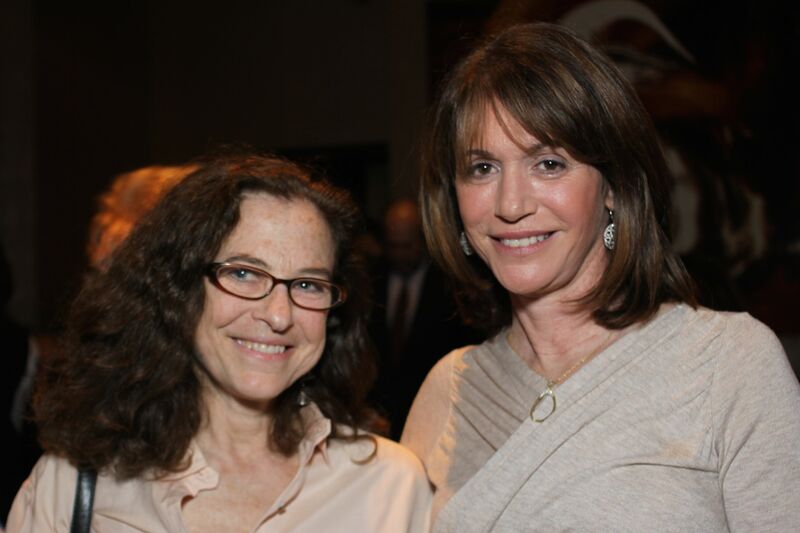 The Gala sold out, which will go a long way to funding our vital work promoting Jewish genetic disease screening, especially our program to identify, visit, educate and support more than 1,000 OG/GYNs in over 400 practices in the New York metropolitan area. During dinner we were treated to a fascinating dialogue between Canavan Foundation board member Seth Gelblum and the show’s producer, Michael David. Michael talked to us about the process of translating the show from London to New York, the challenges of working with a cast of children, and how the theater business has changed during his 40-plus years as a producer. Canavan Foundation President Orren Alperstein was able to thank Shivani Nazareth of Counsyl, the genetic screening firm which recently gave the foundation a substantial grant to support our outreach and education program in the New York metropolitan area. Shivani is featured in the two videos on this website which explain the genetic screening process and the options available to carrier couples. Supporters then walked down the block to see “Matilda,” which more than lived up to its rave reviews. Everyone was impressed by the energy and creativity of the show and the remarkable performances by all the cast members. 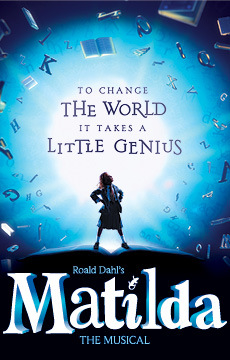 “Matilda” has been nominated for a dozen Tony awards, and it's certain to have a long and successful run. A smaller group finished off the evening with wine and cheese at Angus’s Café Bistro right across the street from the theater, comparing impressions of the show and the performances, especially the young woman who did an amazing job of bringing Matilda to life. 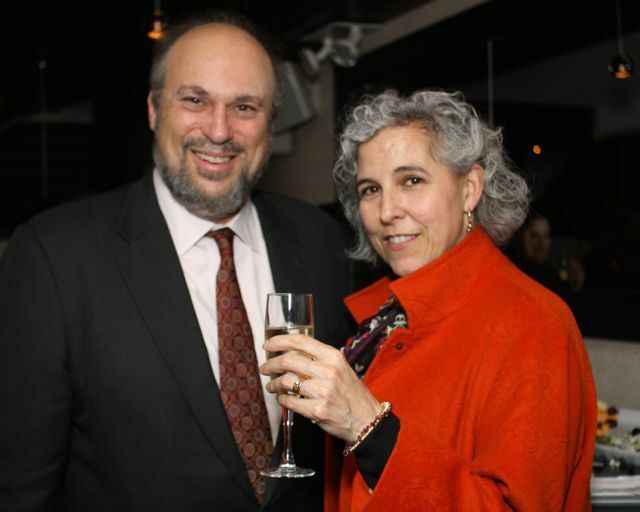 The Foundation would particularly like to recognize board members and event co-chairs Deedy Goldstock and Pat Hirschhorn, without whom this event would never have been possible, and finally, thank everyone who joined us for dinner and theater, or who were not able to be there in person but who made financial contributions all the same. 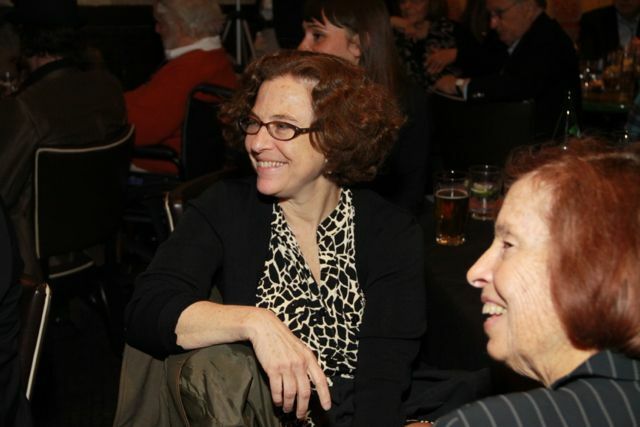 We hope to see you at next year’s Theater Benefit!